Keeping up with all these lesbian titles is difficult. I have an office full of Post-Its with titles, tv shows, shorts, web series. I remember I’ve forgotten something so I put the title on another Post-It. Yesterday while I was “writing my script” meaning I was actually watching YouTube…I grabbed the Post-Its and dated everything I knew I’d missed up to this point and I think today I should play catch up with those titles. So here it goes. You’ll gasp when you read the first one I’ve forgotten. That is only the tip of the ice berg of the amount of star power in this film. I’ve only seen this once and I’m looking at the imdb I’m in total awe of the people involved in this. So this is three separate stories about people who live in different times in the same house. 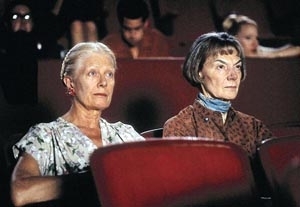 It begins with a heartbreaking story about two older women and one dies. That classic horrible tale about trying to get to someone you love in the hospital and not having the correct label for them to let you in. Oh, to that note. Here is an amazing short film by director Lauren Fash: Quiet. It’s 30 minutes long but it is phenomenal and heartbreaking. The second story is set in 1972, a love story between a boi and a girl, Chloe Sevingy and Michelle Williams. I’m going to be honest, this segment was a little too much for my young mind. I will revisit it, I’m sure it won’t make me as uncomfortable as it did when I was 17 and thinking about my own truths. I don’t remember if she was transgendered or lesbian…again, I’ll need to revisit. 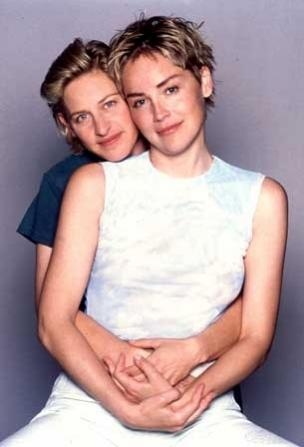 And the third is a love story between Sharon Stone and Ellen who are a couple trying to get pregnant. I have to say, I love Ellen, of course I do she is our queen, but I’ve always been more inclined to have celebrity crushes on a certain type which I won’t go into, was never Ellen, but in this segment of the film when she is rolling around in bed with Sharon Stone, damn. Lucky lucky Sharon Stone (and Portia). Hot. Here is a fun little clip from the Ellen Degeneres show when Sharon Stone was a guest. When Sharon sat down I didn’t even remember they were in this film together. I hope you’re not surprised. Come on, Tori?! First off, this season of the show is so strange…the gang graduated from high school then they had a second senior year without Kelly or Jessie and they brought in Tori for Zach and Slater to fight over…I don’t care who she was “dating” Tori is a lesbian. Leather jacket wearing, motorcycle riding and fixing lesbian. The woman who played Tori, Leanna Creel, is actually a triplet, which is beside the point. She is also a lesbian who helped produce But I’m A Cheerleader and other great titles. She produced an amazing short called PROMtroversy which is another project made with the Power Up organization. Not Tori at all but can’t talk about Saved By The Bell without a yowza for Kelly Kapowski. You can’t see it for free but I just found a new site with so much lesbian content which is so organized that my brain is exploding trying to go through it all. It is Kitschmix TV. Here is the first 2 minutes of PROMtroversy. I have three more honorable mention titles that I will bulk together because….they are all the same script. Such a classic surrounding a famous actress, the theater, and an aspiring actress who wants it all. This one also features a small part by Marilyn Monroe. This surrounds neighbors who become best friends and one gets a little too close…beware…a puppy gets murdered. A French exchange student comes to stay with a Texas family and things start to go awry. Okay, so none of these films are overtly gay and may cast a bad light on women being obsessed with other women but there is no doubting that these films are lesbian-centric and pretty big titles within the genre. The story is a woman takes a shine to another woman’s life then tries to become her. It’s so funny to see these titles all next to each other. We have one drama, one thriller, and one satire. Totally different genres of film with the same script. And we can’t fail to mention the obvious, Piper Perabo. Here’s another clip from my third favorite Piper Perabo lesbian movie Coyote Ugly. You’re not going to get any hot and heavy lesbian scenes in any of these films but they are amazing works and should be viewed. I actually got to see the Los Angeles premiere of Slap Her She’s French recently. It’s funny to say that since the film came out in 2002 but because of a botched distribution deal the film never came out to theaters in the states. Incredibly interesting q&a and Melanie Mayron is super cool. Apparently this film was a huge Hollywood deal which was supposed to be a vehicle for everyone involved and it ended up fizzling because of the distribution drama, such a shame. I think you might be noticing that I’ve forgotten a really really big lesbian title from the 90s. You will find out in the next post why I’ve waited. 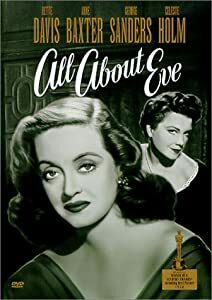 Tags: 1950s Lesbian Hollywood, 1990s Lesbian Hollywood, Lesbian Characters in Film, Lesbian Content, Lesbian Filmmakers, Lesbian Romance, Lesbian Storylines in Film. Bookmark the permalink. Previous post ← What Do A Sociopath and a Turkey Baster Have in Common?